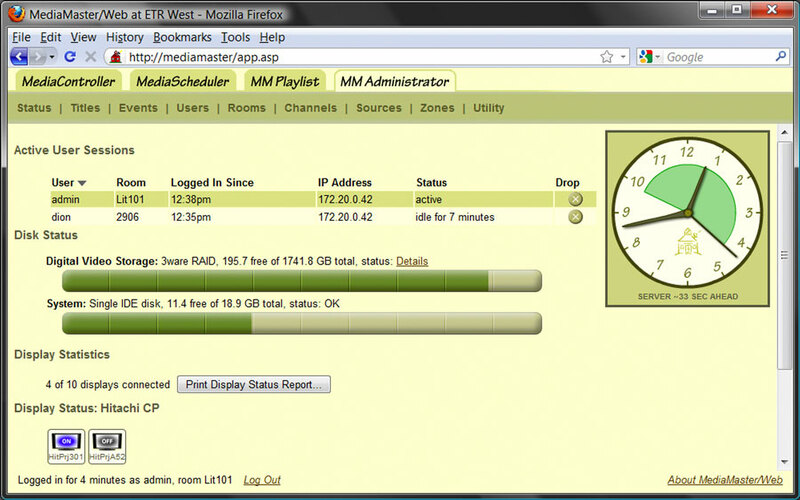 The MediaMaster system offers a complete solution for scheduling and controlling centralized sources and media titles from your classroom, and for managing and broadcasting the site's digital media resources. Visual representations of the video titles and sources. Graphical logos of all common US television networks, allowing quick recognition. React to real-world contact closure events with VoD playback, video zone pages, etc. 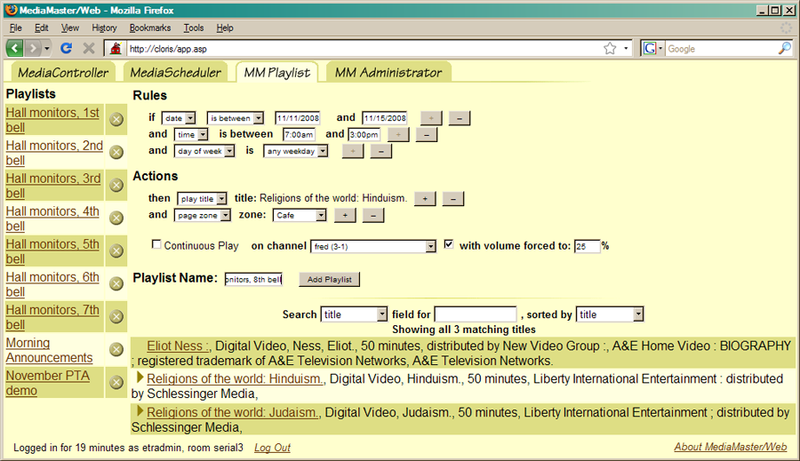 Run a Playlist for secondary annunciation during fire drills, security lockdowns, etc. 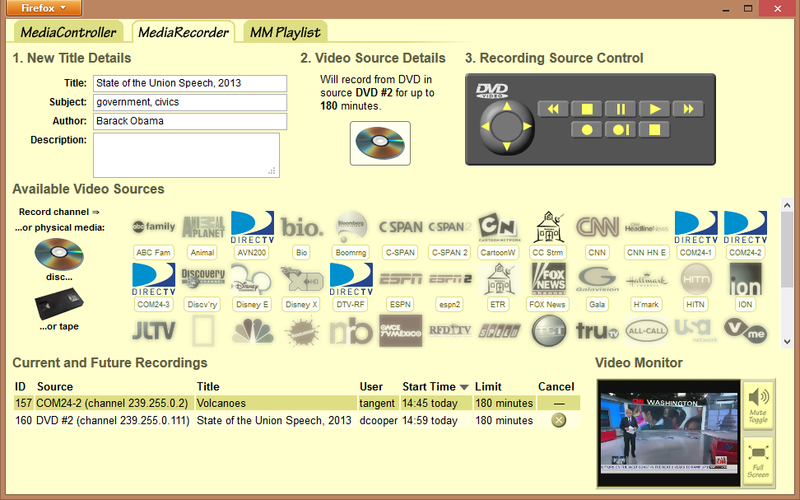 Cancel in-progress video zone pages, playlists, etc. Modify the data tables: titles, users, rooms, sources, etc. The classroom computer and display are connected to the media center over the school’s network. This allows you to control the centralized sources and see the result on your classroom monitor as though the source was right there in the classroom.